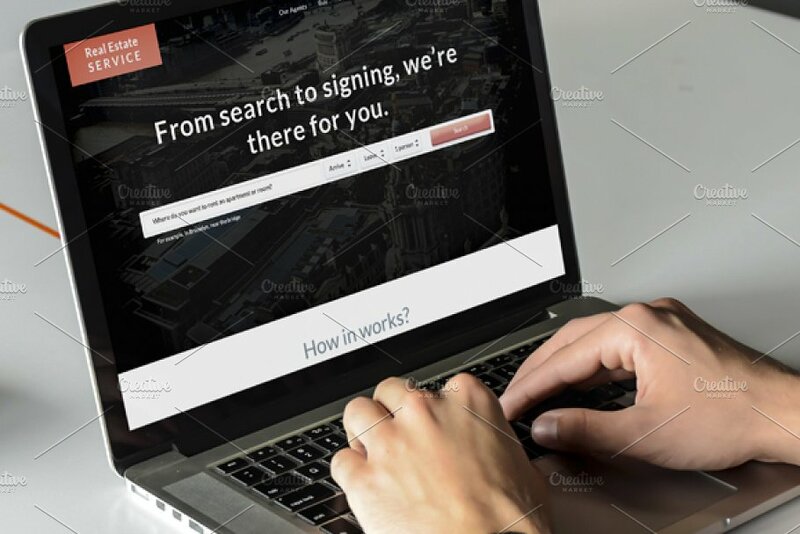 In today’s hectic world, when customers browse through a Real Estate website, they prefer that all the information that they are looking for should be available on one page. This requires the website’s owner to be careful and meticulous in their planning and execution of the website layout. 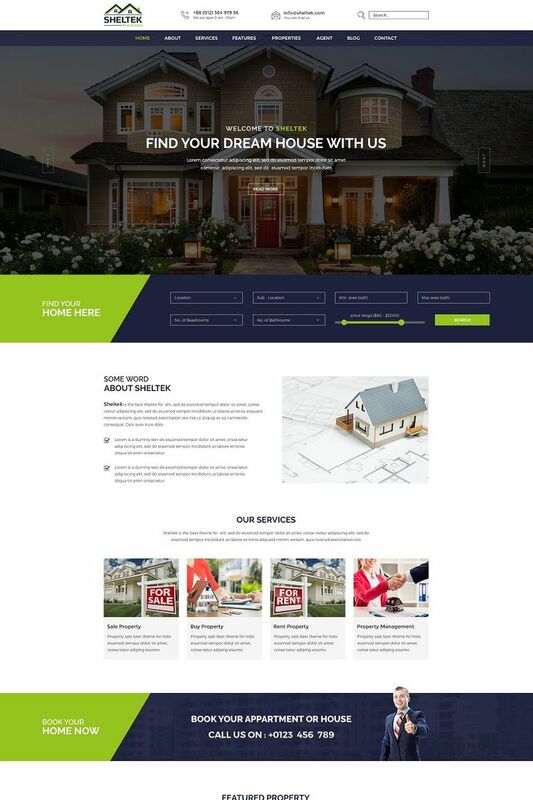 Below is a list of 15+ Best One Page Real Estate Website Example & Templates 2019 to help out. 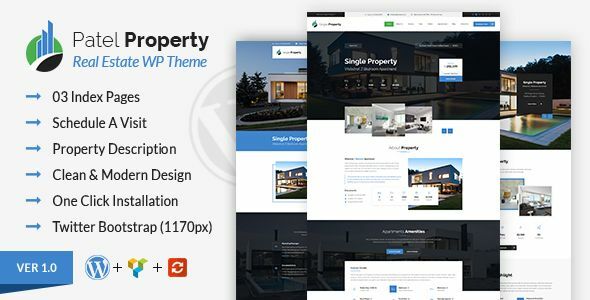 This theme comes with all the details of the property included on the same page with multiple segments denoting multiple aspects of the property. It is an exhaustive data presentation page which is simple to follow and understand as well. The theme comes with various plugins and frameworks to make your work easy. There are additionally 28 custom modules and unlimited page layouts. This professional looking theme boasts of 8 different header/hero sections. There are 2 different navigation styles to select from and 7 footer styles as well. There are working forms inbuilt and a count-down timer is there as well. Apartment floor selector feature makes it all the more appealing. The fonts available are Mand Elegant. This is a simple looking yet informative one-page layout for a single property. The design is very informative and has the support of over 600 Google fonts. The page is fully SEO optimised and all the necessary PSD files have been included already. 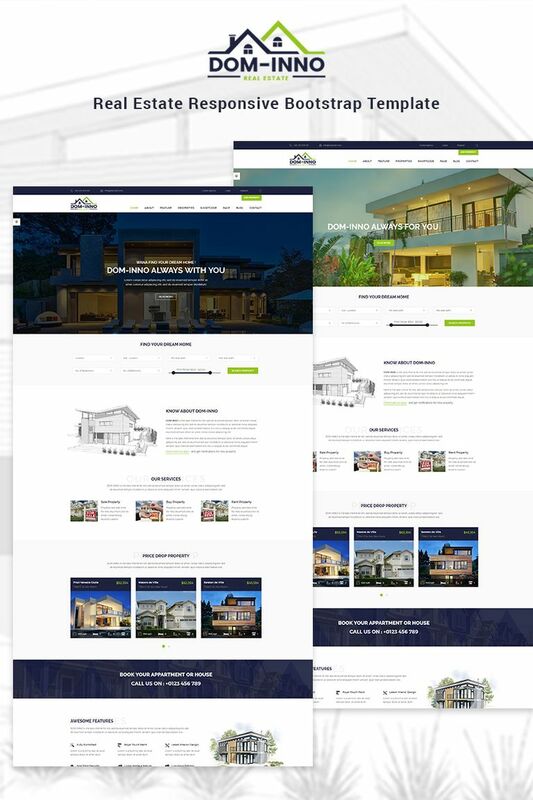 It is a responsive design is ideal for any Real Estate company for display of a single property in a dedicated and prominent manner. This theme has a large collection of advanced widgets like Google Maps and Carousel to make the website look high-end. With JetElements and Jet Menu features, making the website will be a piece of cake and it is highly responsive to all types of screens as well. And then there is the WordPress customizer which ensures immediate response of changes without having to refresh the page. 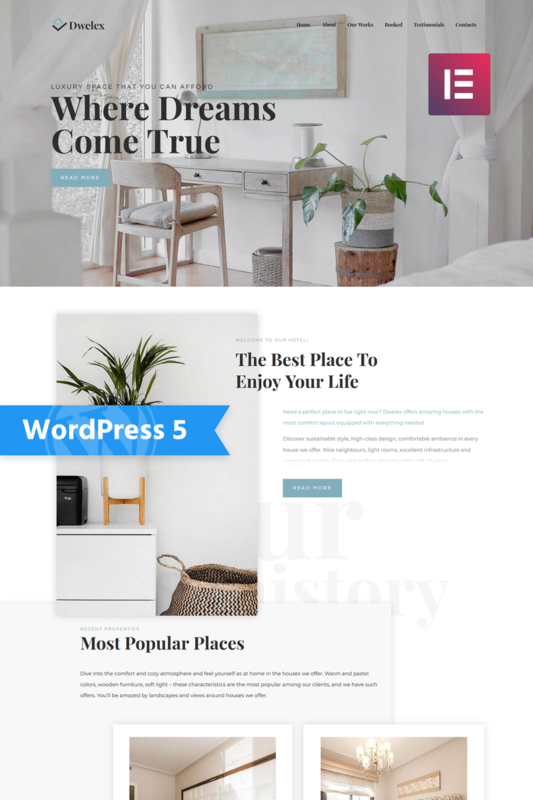 This theme offers pre-built layouts and elements so you have to hardly lift a finger in finishing the website. All layers on the page can be customized and it is only a matter of minutes before you discover what you need to do to make them as per your liking. It has an abundance of Google fonts and the elements are reusable as well. 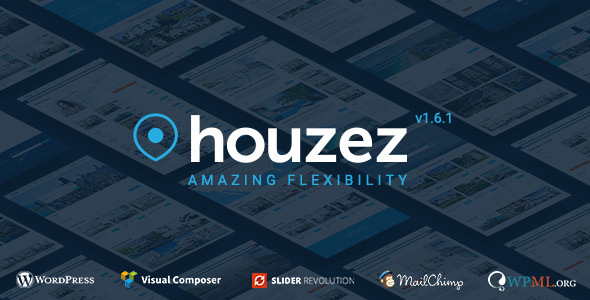 Among the many themes of the ‘Houzez’ family, there is this particular theme which is a One Page Real Estate template. It is one of a kind and is for a single property. The page has all the possible details required for the customer to make an informed choice. The page also offers the functionality of Maps and also a form for taking user registration information for scheduling appointments. Thsi template has working AJAX forms and is optimised for fast loading. It has a very responsive slider and is also SEO optimized. It has 18 niche templates and 9 extra skins to chose from. It also has over 300 PSD files and over 450 readymade HTML pages. All this add up to a tremendous amount of options in the hands of the developer and in a matter of minutes it can be up and running with a sleek look and feel. This is an HTML template in the Premium segment. All the SCSS and Plug files are included in the theme. The CSS3 animation and transition effects are extremely impressive. It has a working contact form and includes a host pg Google fonts. Google Maps functionality is also present. 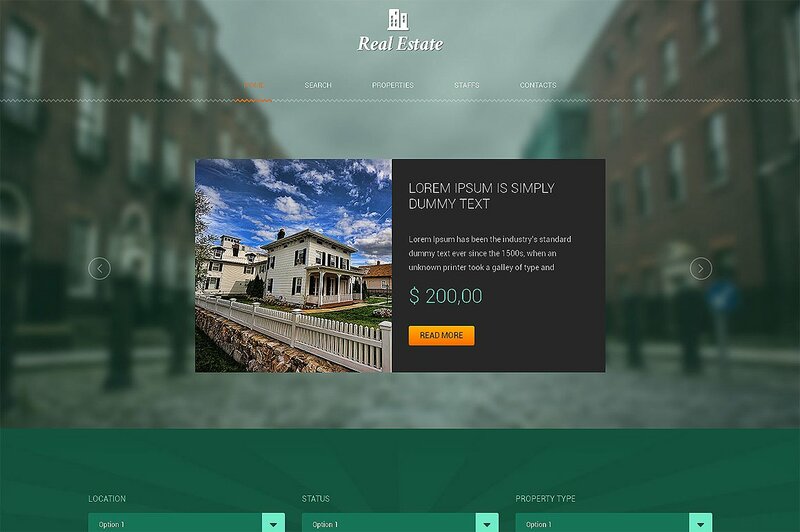 Overall, the Ready-To-Use Website Template is a wonderful choice for any Real Estate company. 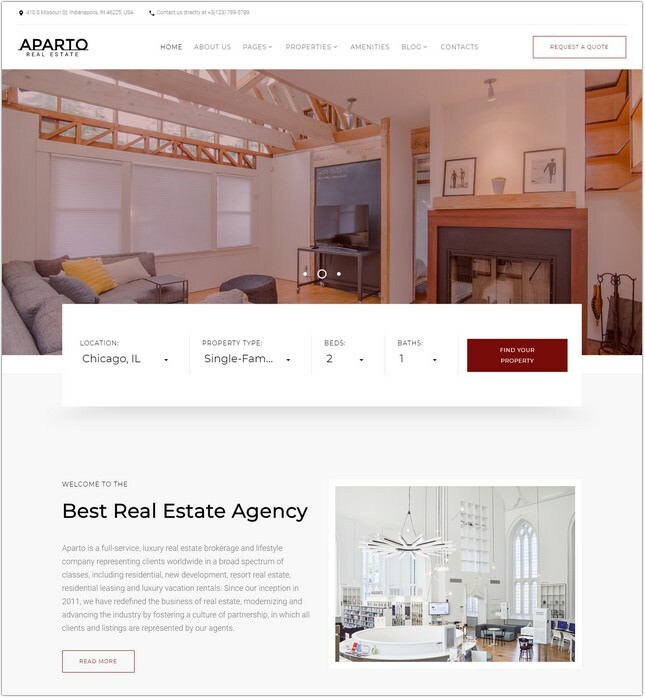 Aparto is a responsive HTML Real Estate Website template, meaning it can fit on any screen that it is viewed on. The layout is built on the BootStrap 4 framework. There is also a large array of Google fonts and Google Maps is also part of the whole setup thus offering excellent functionality. There is al 24/7 technical support available to take away all your worries. The Grand Estate Website Template has a sleek, modern look and is based on the BootStrap 4 framework. There are options to choose from multiple headers and footers. You can also get the HTML drag&drop builder to increase your ease of use. It has a responsive design and that implies that it can fit into the screen of any device that it is viewed from. 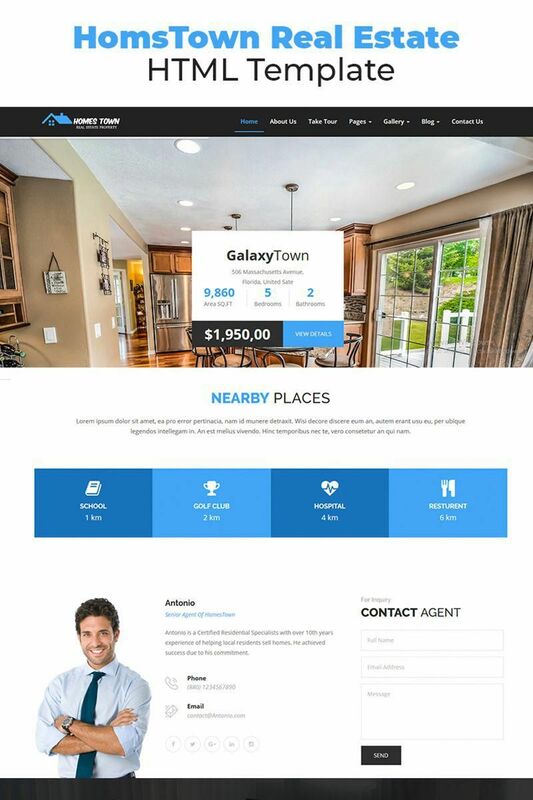 The Dominno Real Estate Website Template is a Responsive site and offers great features. It is a ready-to-use website – meaning you will have to spend the minimum effort to get it up and running. You can get the drag&drop HTML builder along with it. Also, the MotoCMS drag&drop builder adds a totally new dimension of functionality to it. 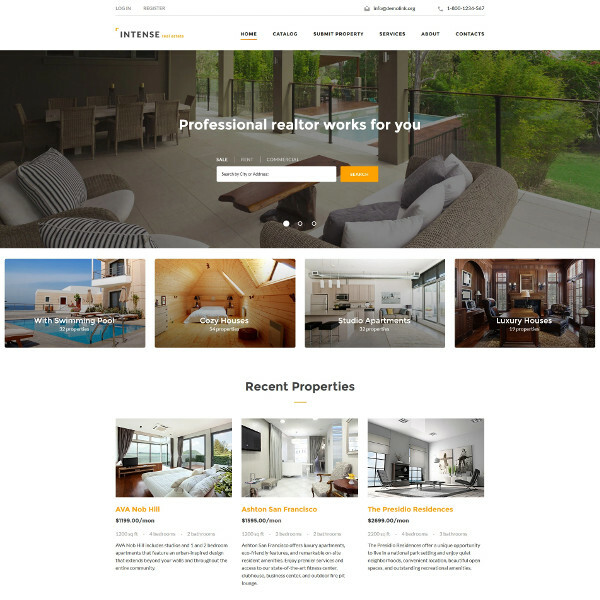 The Haven Real Estate Website Template has a very elegant look and feel to it. It is built on the latest BootStrap version framework and offers 18+ shortcode page elements. It comes in 9 versions and 12 colour variations so you will have a great deal of flexibility in choosing the look and feel of it. It has a wonderful Mega Menu and a Wide-and-Box layout to enhance the overall experience of the visitor. 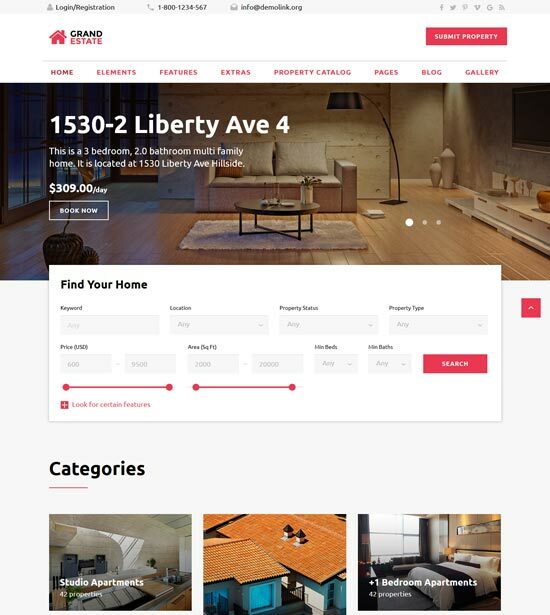 Built on the latest BootStrap framework, this HTML Website Template is simple and elegant. It has several smooth transition effects as well. It has been optimized for cross-browser use and has a variety of Google fonts included. The Parallax effect further enhances its appeal to the designer and the visitor alike. 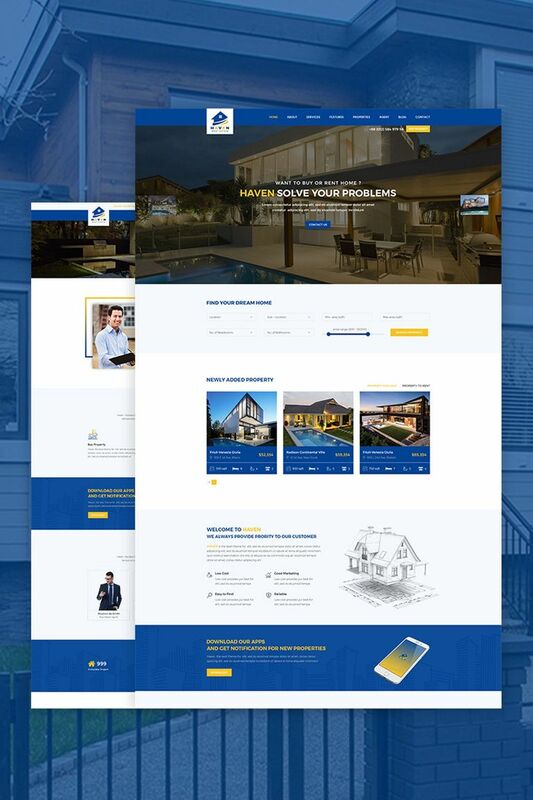 The Sheltek HTML Real Estate Website Template is another feature rich theme and can be a great asset to any Real Estate firm. It comes with 11 versions and 12 colour variations. It has over 28 Shortcode Pages elements to make your work a breeze. The Wide-and-Box layout and the Mega Menu features area feather in its cap. The support instructions are very well documented and the Google Fonts only add to the charm of designing.